"Indians of the Crow Creek Reservation, S. Dak. 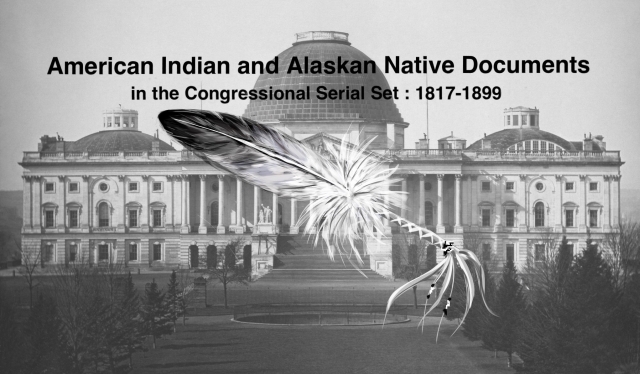 Letter from the Acting "
Indians of the Crow Creek Reservation, S. Dak. Letter from the Acting Secretary of the Treasury, transmitting an estimate of appropriation submitted by the Secretary of the Interior, to compensate the Indians of the Crow Creek Reservation, in South Dakota, for loss sustained by them in receiving less land per capita than was received by Indians in other diminished reservations. Indians of the Crow Creek Reservation. 17 Feb. HED 121, 53-2, v29, 4p. Appropriation for these Sioux Indians of South Dakota; unfairly treated in the division of the Great Sioux reservation.